It is without saying that the Argentinean asados is an absolute must to eat when you visit Argentina and one may think there is one standard parrilla (the grill) for preparing the asado. The opposite is true however. The most common parrilla you find in houses in Argentina is the normal horizontal grill parrilla. It is the one described in this site about Argentinean parrilla. It takes less space and keeps the heat concentrated in a smaller space. 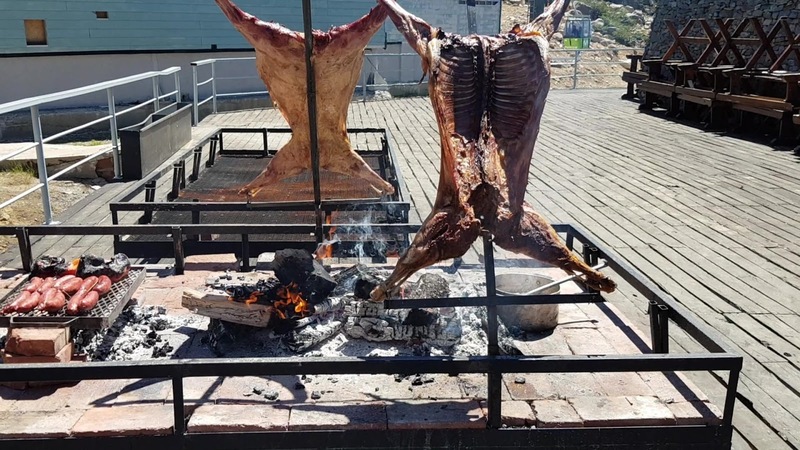 But when visiting Argentina, most tourists see the large spits and crosses in the restaurant where they put the meat vertically on a spit around the fire. This "asador criollo" is beautiful to watch that attract a lot of views. It does however take more space, equipment and a lot of effort and patience to prepare this type of asador criollo. 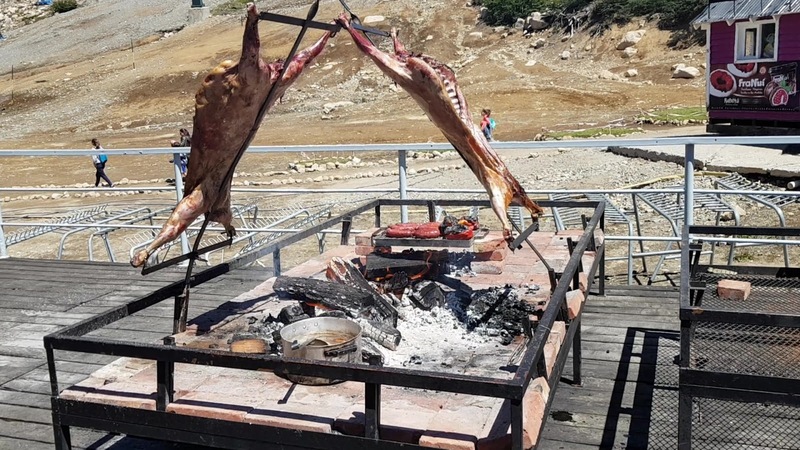 To see the Patagonian parrilla in Patagonia or in the campo is of course a much more attractive experience to see than the home parrilla that grills small and medium sized cuts of meat. The asador criollo is typically used to grill a complete animal or very large parts of meat, like a sheep or a cow, that is cut open and spread with its four legs over the cross of a spit. They do take more time, but once ready, you will not regret this special restaurant experience.